Selected Works of Mohamed Raffa Dr. 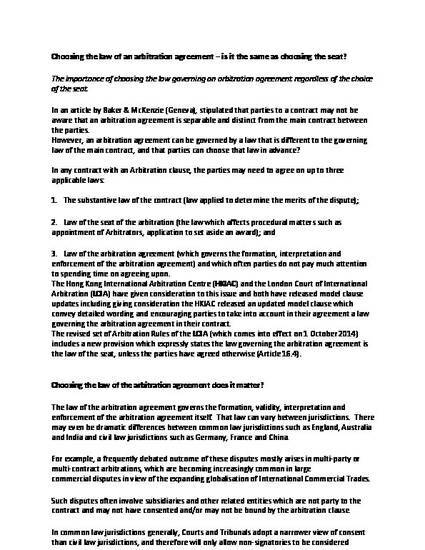 The importance of choosing the law governing an arbitration agreement regardless of the choice of the seat. Parties to a contract may not be aware that an arbitration agreement is separable and distinct from the main contract between the parties.